Brand new roof! 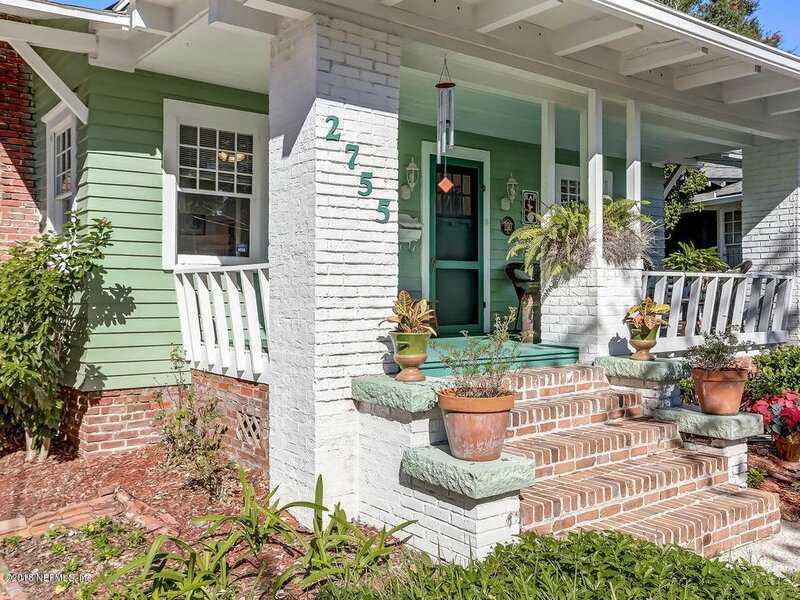 Beautiful Craftsman style bungalow in the heart of Riverside! Sit on one of your two spacious porches and enjoy your serene surroundings, or take a short walk to King street and be in the middle of all the action. Interior architectural features include GLEAMING heart pine flooring, original glass door knobs, coffered ceilings, gorgeous wainscoting, new ceiling fans throughout, and the most amazing walk in master closet you've ever seen in Riverside. The detached garage/storage shed offers tons of space, has been rebuilt with all new wood and window, and is a historical contributing structure.Pre-listing inspection report available. Join the urban lifestyle and see why TIME mag. rated Jacksonville in the top ten cities of 2018. Listing courtesy of KELLER WILLIAMS REALTY ATLANTIC PARTNERS. Selling Office: WATSON REALTY CORP.